Melissa McCarthy, America’s queen of comedy, has a new movie hitting DVD and Blu-Ray on September 29: SPY. This time Melissa, a very unlikely spy, is going “undercover” on a very important mission: she wants to make you laugh. ReelMama.com and friends are delighted to bring you the opportunity to win this hilarious comedy on Blu-Ray! 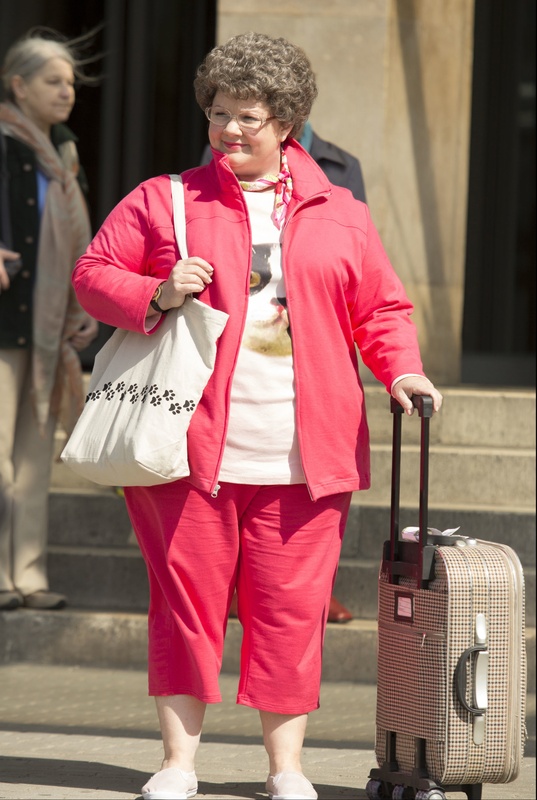 Melissa McCarthy is armed and hilarious in this “outrageously entertaining” (Peter Travers, Rolling Stone) comedy hit from director Paul Feig (The Heat, Bridesmaids). Deskbound CIA analyst Susan Cooper is about to become the world’s newest — and unlikeliest — secret weapon. When her partner (Law) falls off the grid and another top agent (Statham) is compromised, Susan volunteers to go deep undercover and bring down a deadly arms dealer. 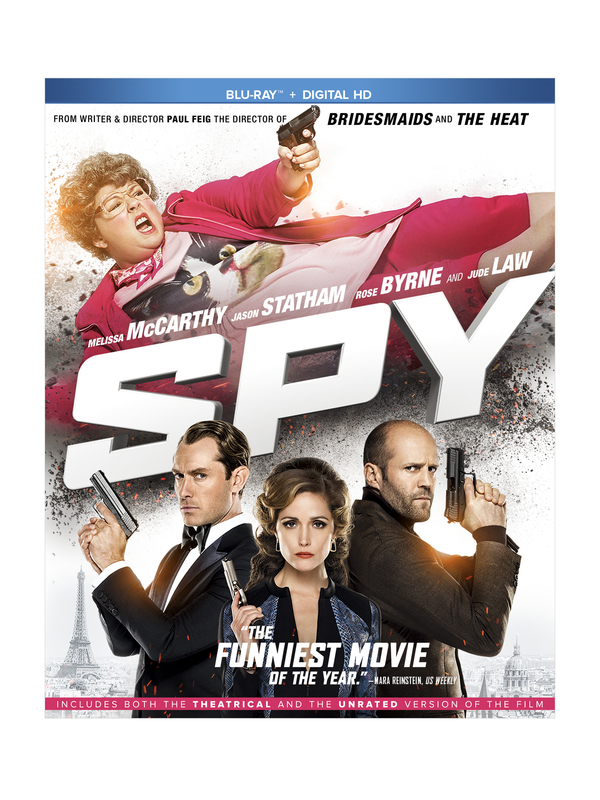 Loaded with wise-cracking action and adventure, SPY is a mission impossible to resist! 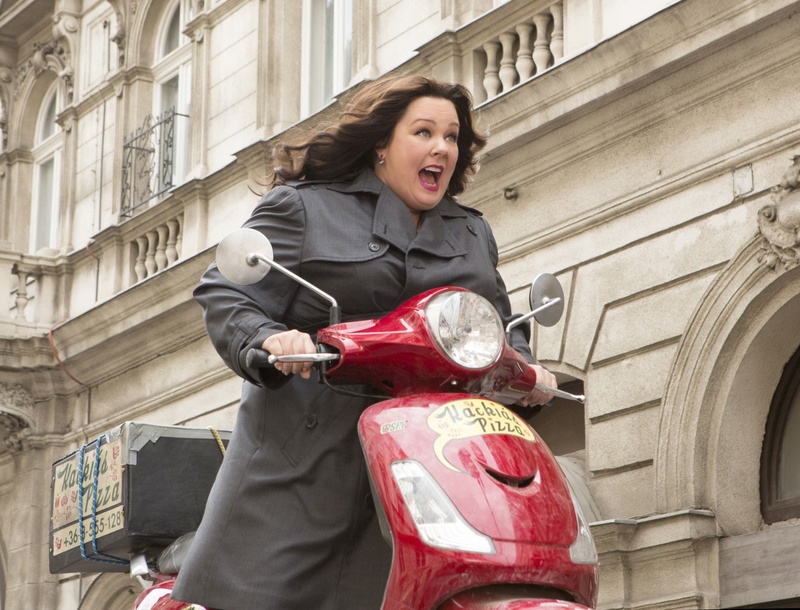 Richard Brody of The New Yorker gave SPY a glowing review: “Melissa McCarthy shines in this clever action-comedy showcase provided by the writer and director Paul Feig.” On RottenTomatoes.com, 93% of critics and 82% of audiences loved the movie–not a bad bet for your weekend date night in or movie night with friends. It’s a great choice to relax and enjoy some belly laughs on a weeknight as well after a long day. On with the giveaway! Use the Rafflecopter below to enter, and best of luck! Giveaway Rules: This giveaway is in no way associated with Instagram, Facebook, Twitter, or any other social media platform. You must be 18 years old or older to win and be a U.S. or Canadian resident. This giveaway will run from Tuesday, September 29, 2015, until Monday, October 12, 2015, at 11:59pm. One winner will be chosen at random via the Rafflecopter. Disclosure: Fox Entertainment Insiders is sponsoring the prize and is solely responsible for prize shipment. ReelMama.com received a copy of SPY on Blu-Ray for review purposes. No other blogger received compensation for participating in this giveaway. My favorite spy movie is Casino Royale 2006. Thanks for the fantastic opportunity to win! I don’t know which is my favorite spy movie??????????? I like spy movies like the Bourne film franchise. Bridesmaids, Shanghai Noon, and Black Sheep. My favorite comedy is Ride Along. all the james bond movies! My favorite comedy to watch is Brides Maids, a really funny movie. Condorman is my fave spy movie. Well, my favorite comedy t.v show is Mike and Molly. I know just the person who would enjoy this as a gift!